Up, up and out of the way! 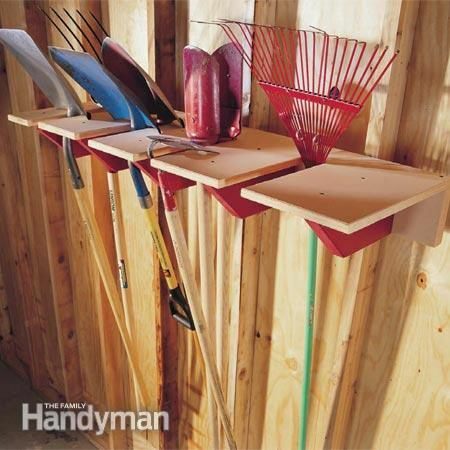 A wooden shovel rack is strong and sturdy for those heavier yard tools. With this design you can fit several yard tools in one slot. Go check out the instructions over at Family Handyman. 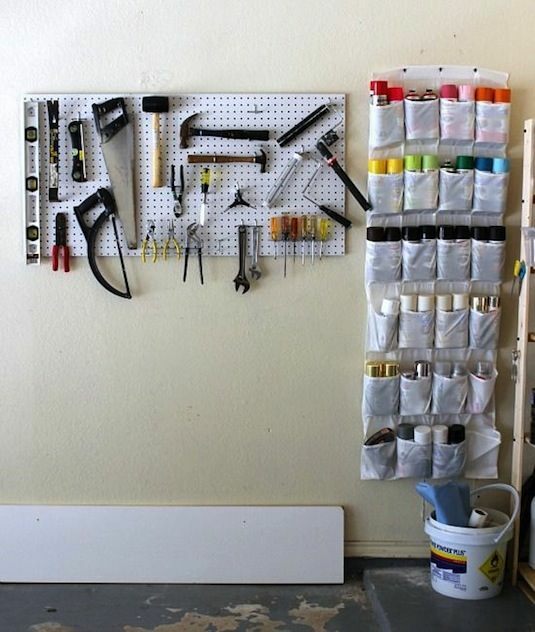 I used to have one of these attached to the back of my closet door for storing shoes, but the little compartments are so perfect for the garage! You could use it to store your garden/dirty shoes, cords, and other miscellaneous items that tend to get lost in the clutter. Get creative with your storage containers! 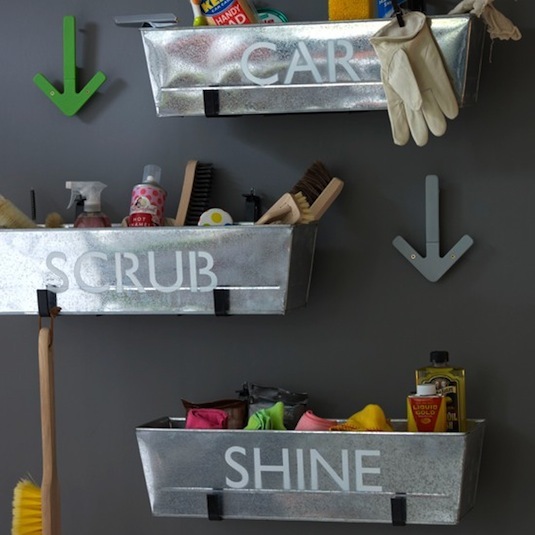 These metal planters are perfect for hanging and storing cleaning supplies. You could also use them on shelves as easy pull-outs. Things don’t always have to be used for their intended purpose! 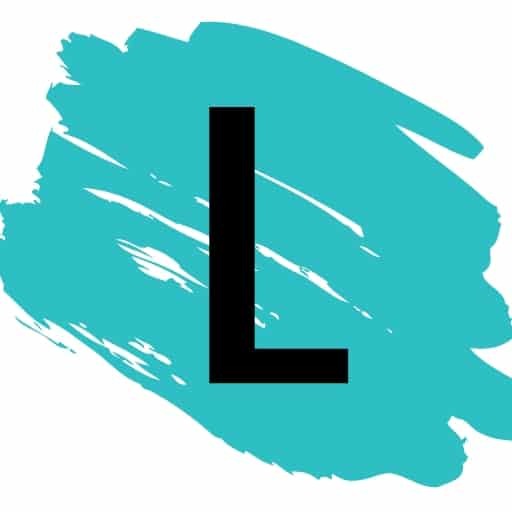 Label them with stencils or stickers to make finding things a little easier. I think it might be time for a trip to the dollar store.